Fleece overalls are made from micro fleece. They are lined with mesh that protects dog’s coats very well. They have hoods attached with snap buttons and can be easily removed. Under the hood is a collar. 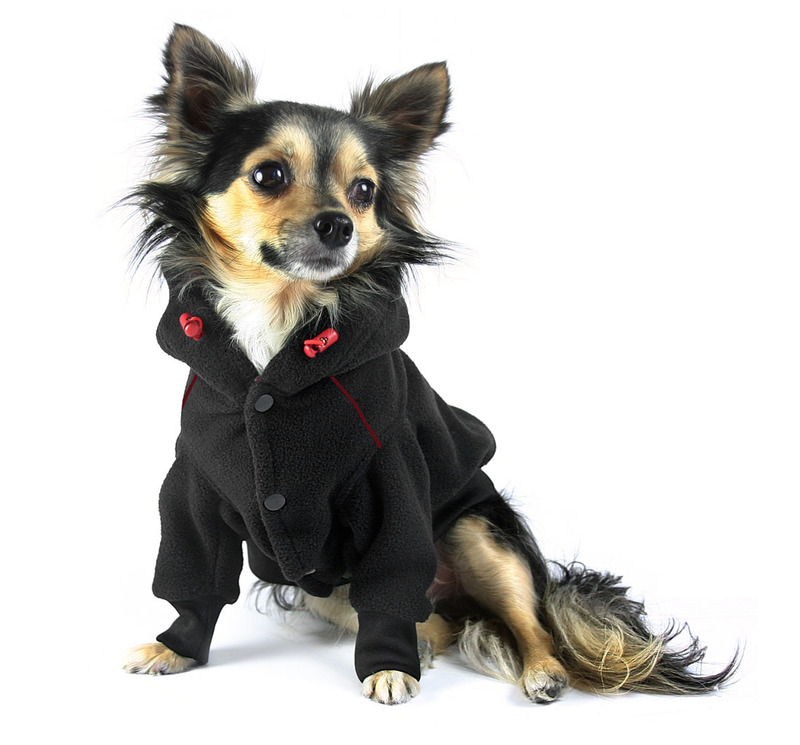 Beneath the collar is a small specially made hole which accommodates attaching a leash. 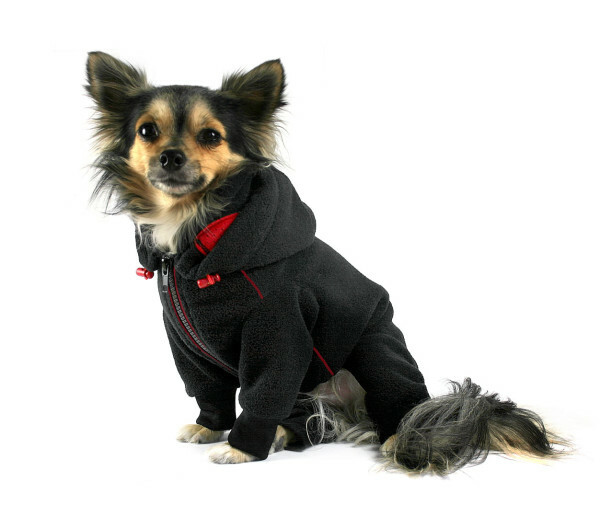 The hood also has a drawstring that can be tightened. They are open at the back so the dog can mess in a comfortable and unrestricted way. Fleece overalls come in 7 sizes.